EGHS offers daily RTD local passes for students with a current student ID. Pick them up from your counselor each day. Monthly RTD passes are available to students based on need and merit. See you counselor for details. EGHS has some free parking spots available for students based on need and merit. See you counselor for details. New this Year! 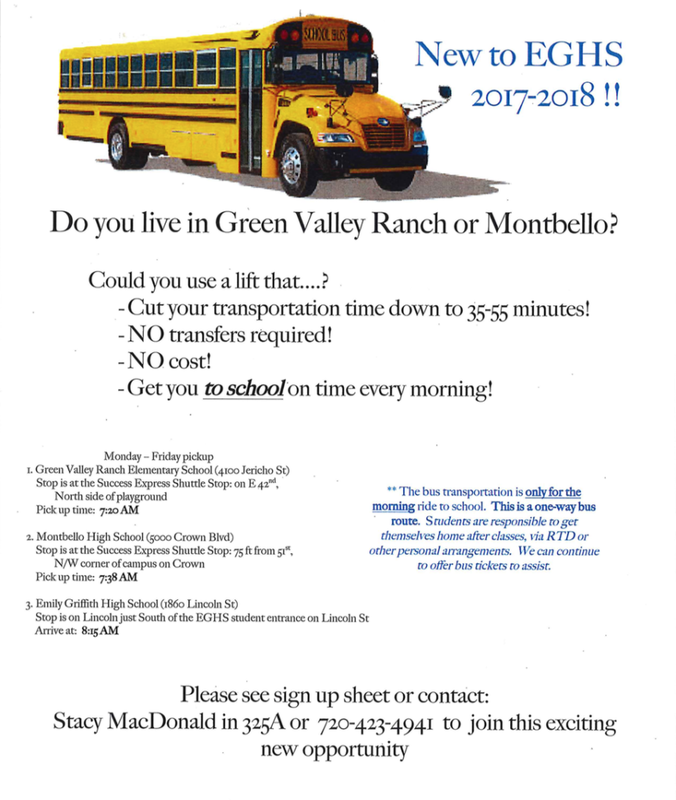 Green Valley Ranch / Montbello free bus to school. Bus Route #5101. Please take advantage of this opportunity. We need riders so we don’t lose it.